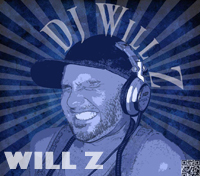 Dj Will Z is a product of WZ Productions. I am a very up and coming dj here in San Diego, CA. I am a Top 40/Dance/Pop/Hip Hop Dj, with right now about 80% of my sets consist of videos. I currently spin at House of Blues San Diego, Rich's San Diego, Numbers, Spin, Bourbon Street, Brass Rail, The Flame doing mostly Top 40 Videos. I have been djing for 3 years this March and have had a lot of great things happen already. Pride 2011 I was the resident DJ for the Budlight Stage both Saturday & Sunday plus have worked the High Energy Tent for the past 2 years & djed on the Numbers Float on a Firetruck LIVE (2010) (which was my second pride float) and was also given the honor of opening for Manny Lehman at Spin & worked with Brett Henrichsen at Rich's San Diego for Pride 2011 Friday night. During 2010 I djed 3 Rich's Massive parties djing from 9 pm - 3 am and one of those parties Kelis performed live! Currently I am working on a clothing line with slogans and designs I have made personally and those are available on line country wide and are selling. 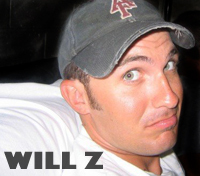 Plus I currently have 8 podcasts for download (which you can find on djwillz.com) I currently have downloads internationally from Africa, China, Singapore, Australia, Europe and across the USA. 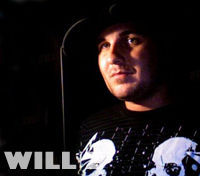 All of this information can be found on my website that I run djwillz.com.